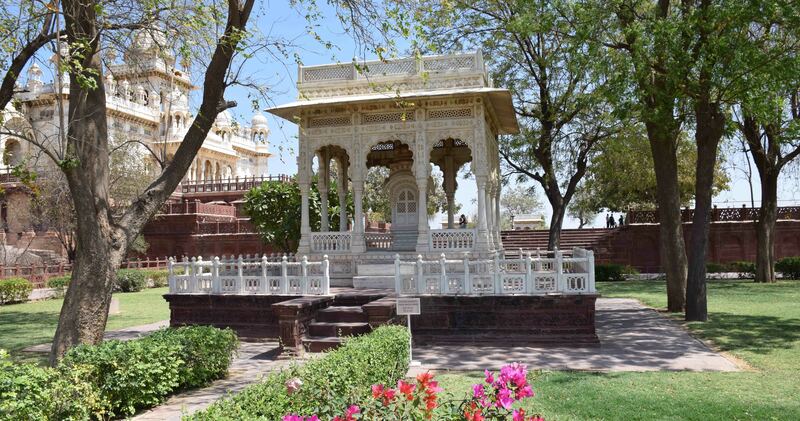 Jaswant Thada – Jewel in Jodhpur’s Crown! As readers should know, I loved Jodhpur when I visited a few months back now, in fact it became my favourite city in Rajasthan. 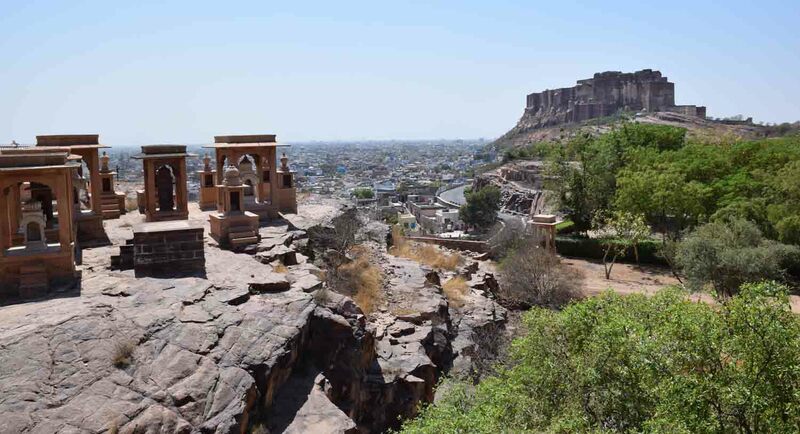 It sits slightly below and to the side of the incredible Mehrangarh Fort which watches over the whole city of Jodhpur. 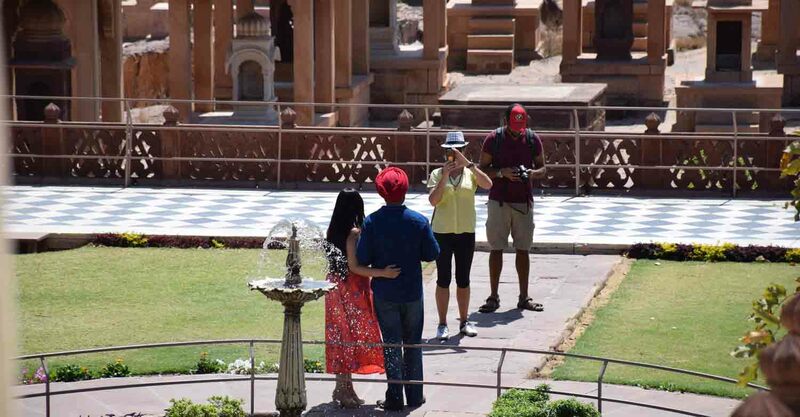 In fact, it’s only a very short walk from the main entrance to the fort, and is definitely a spot worth visiting whilst in Jodhpur. 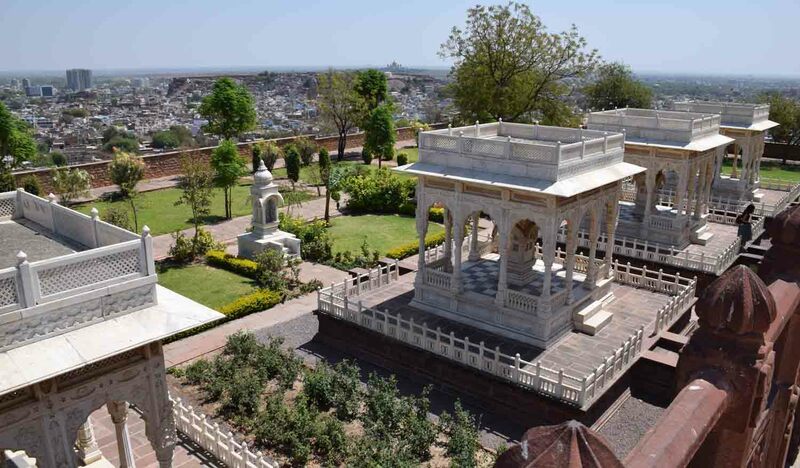 One word you’ll see bandied about Rajasthan, and forgive me if I’m just frickin’ stupid, is Cenotaph. It was not a word I was familiar with before, although I’m sure I’ve seen it used, but it means basically a memorial to someone – or an empty tomb. I think the point is the word is used when someone isn’t specifically buried at the site. 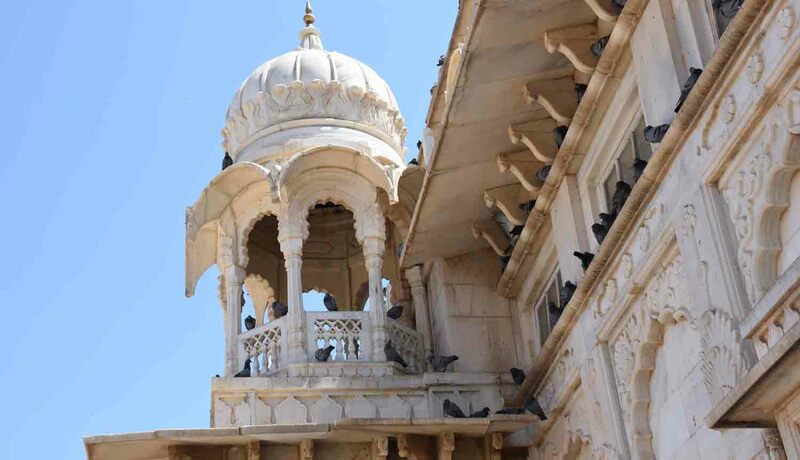 Cenotaphs in Rajasthan are typically really beautiful monuments, often made with a lot of marble or fine stone, with lattice works around many arches and doorways with domes or spire as rooves. 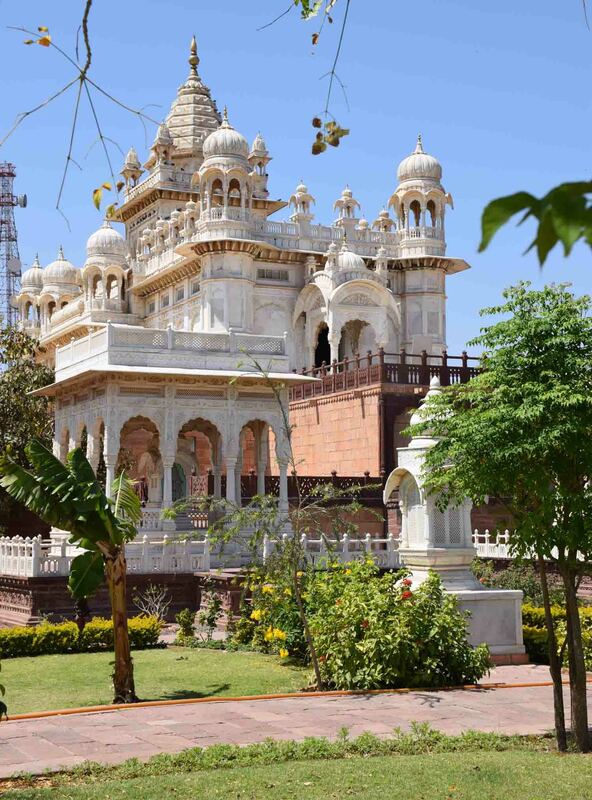 Jaswant Thada is no different, built in 1899 in memory of the Maharaja Jaswant Singh II. 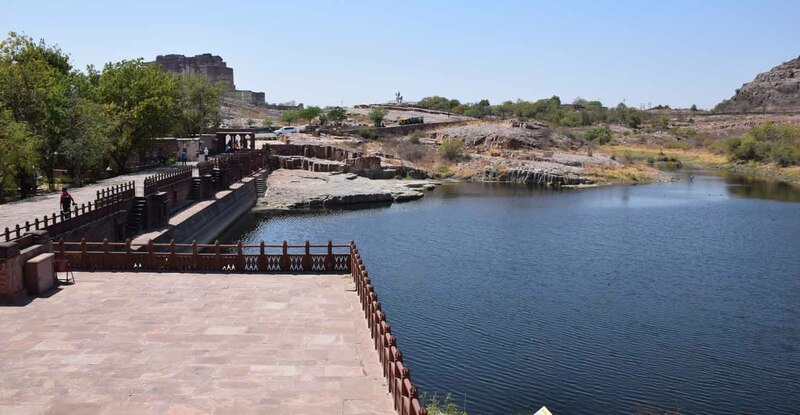 It serves as a cremation ground for the Royal Family of Marwar. It’s a very beautiful building with enchanting garden, laid at the top of a hill on different levels. You get a good view of Jodhpur from there, and it is a special little place. You enter by a little lake, nicely positioned I guess for keeping the gardens green, which despite the dryness in the air and the fact it hadn’t rained for quite some time, were definitely very green. 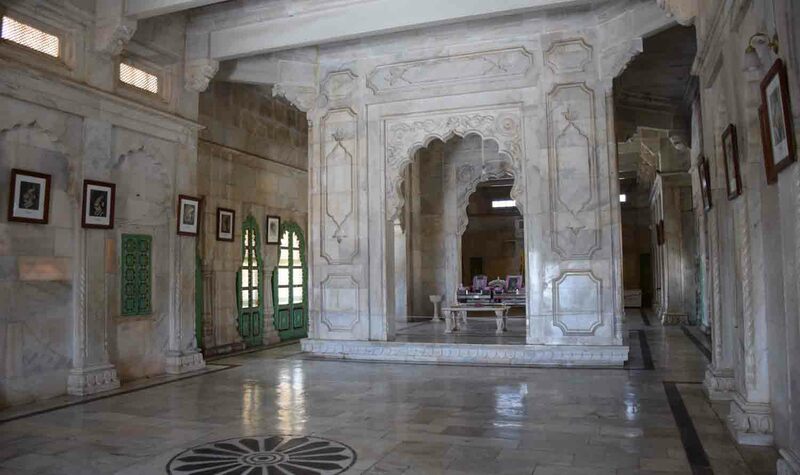 The main monument is white, but the rest is a sort of reddy brown, and it’s all very much in a Moghul style of architecture. You walk past the lake to a small garden with a little memorial in the middle, and then up to a garden with a fountain and grass. This sits below steps that lead to the ‘veranda’ (I know, I need to expand my vocabulary!) around the building. Interestingly, on the other side of this garden are rocks that stick out over the cliffs below and there are what look like gravestones built into them. It’s possible they are just small memorials. Turn around again to look at the amazing building before you. Try to ignore many people taking selfies, and remember if you want to enter, it’s shoes off! More memorials and views out the front, take care not to disturb couples looking for a romantic spot. 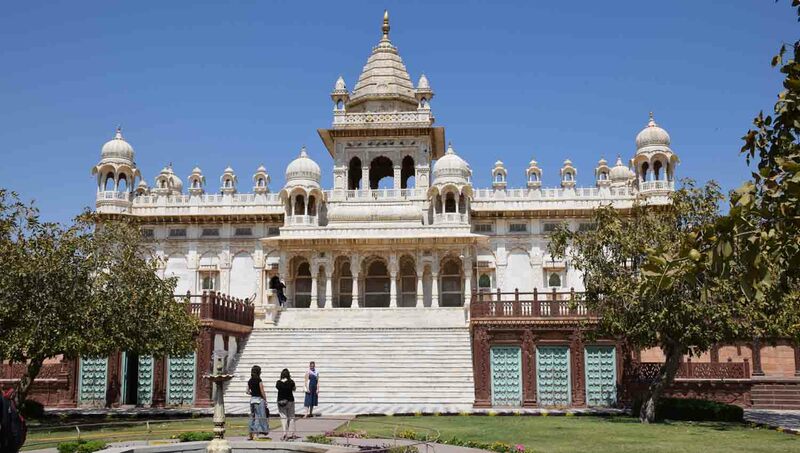 It’s not going to take up a huge part of your day, but Jaswant Thada will hopefully leave you feeling a little more at peace than when you’re battling the Rajasthan streets and auto-rickshaws. Thanks for visiting today – and May the Journey Never End!